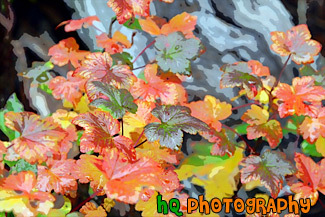 A scenic close up picture taken of an autumn leaf changing color during the fall season. 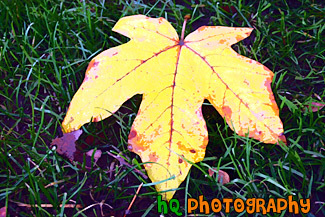 The colors red, orange and yellow can be seen in this leaf. 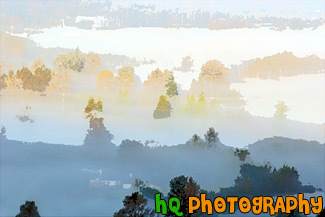 A scenic and beautiful picture taken of a close up of early morning fog on an autumn day located in Washington State in a valley near Bonney Lake. 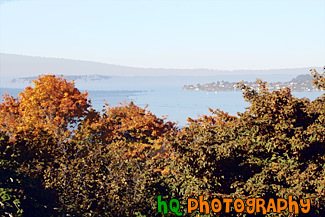 In the picture you can see the fog hovering over the colorful trees that are changing color for the fall season. 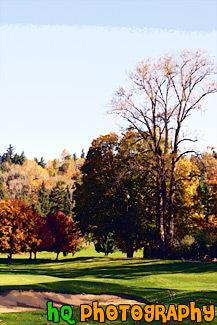 A scenic photo of a golf course in Washington State taken during Autumn when all the leaves are changing colors. 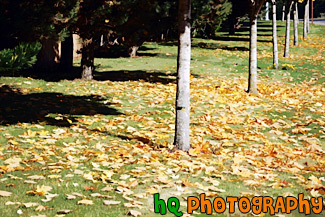 In the background you can see the many trees with colorful leaves. Washington is a great state to see the Fall colors take place. 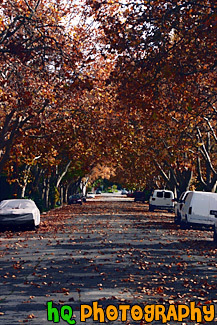 This is a scenic photo taken of a road with many leave that have fallen onto it during the fall season in Palo Alto, California. You can see all the wonderful colors that fall has to offer in this photo along with the shadows of the sun poking through all the colorful leaves on the trees. 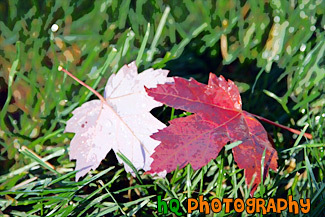 A close up scenic picture taken of two red maple leaves laying on green grass. 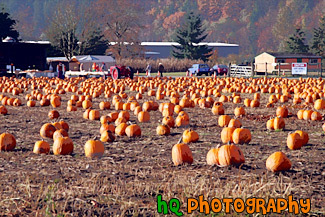 A scenic picture of a pumpkin farm where people come and buy their pumpkins for Halloween. There are a ton of pumpkins on this farm waiting to be carved. A scenic picture taken of a big tree with its' leaves changing colors during the fall season. The leaves are changing from green to red, yellow, and orange. This photo was taken on a sunny day. 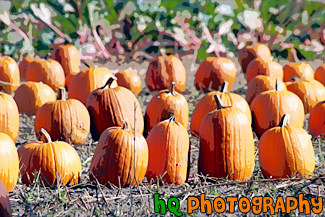 A scenic picture taken of rows of orange pumpkins located on a pumpkin farm. These pumpkins were grown for people to come and buy for the fall season. 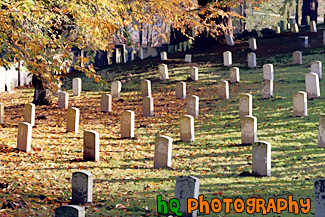 A scenic picture taken of a cemetary during the autumn season as you can see the yellow, orange, and red leaves on the ground and changing colors in the trees. 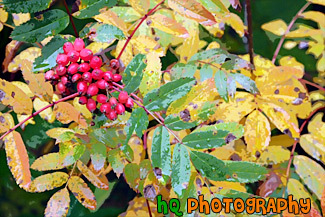 A scenic picture taken of green, yellow, brown, red autumn leaves with red berries. 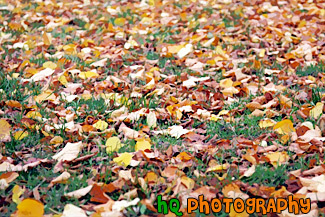 A scenic picture taken close up of a bunch of orange and red leaves covering the grass on the ground. 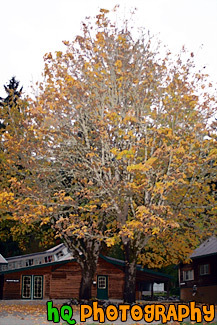 A scenic vertical picture taken of a big maple tree during the fall season as you can see the green leaves changing to yellow and orange. A lot of this trees' leaves have already fall on the ground as you can see the pile of leaves below it. 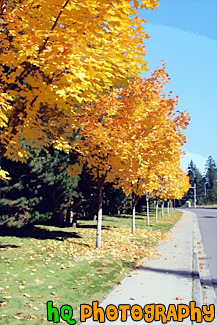 A scenic picture taken of an autumn scene along a sidewalk with trees changing colors to red and yellow. 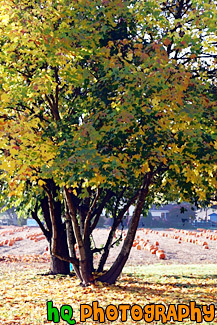 A scenic vertical picture taken of an autumn colorful tree changing colors with a pumpkin growing farm scene in the background. 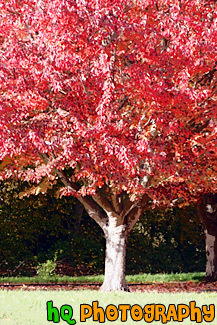 Orange, yellow, and red leaves are seen on the ground beneath the tree. 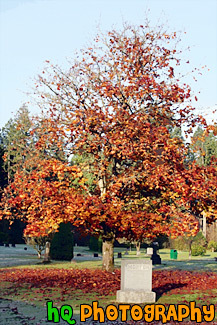 A scenic vertical picture taken of a big maple tree located in a cemetary during the fall season. You can see the changing colors of the leaves and the leaves laying on the ground beneath the tree. This photo was taken on a sunny day. A close up of pumpkins and a basket. 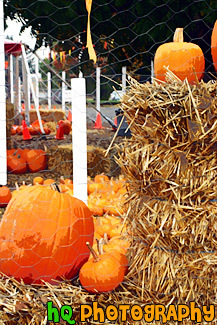 During this time of year grocery stores and other businesses place a lot of pumpkins out for sale to celebrate the upcoming holiday, Halloween. Halloween is a holiday in which kids dress up in costumes and go around their neighborhoods "trick or treating." Neighbors fill the children's bags up with halloween candy! 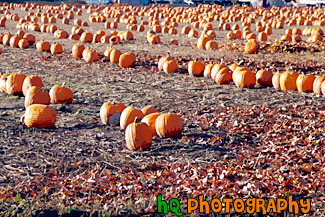 A scenic picture taken of some rows of pumpkins located on a pumpkin field during the fall season in Sumner, Washington. 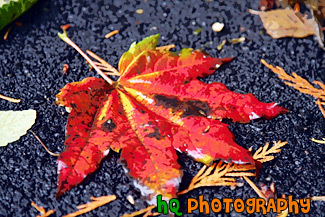 A scenic close up picture taken of a bright red leaf laying on the ground after falling off of a tree during the autumn season. 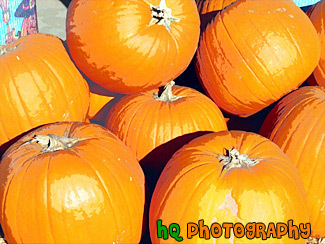 A close up of pumpkins. 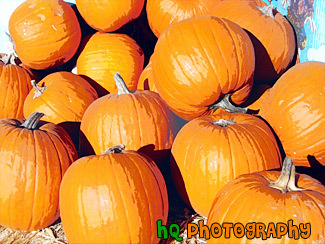 During this time of year grocery stores and other businesses place a lot of pumpkins out for sale to celebrate the upcoming holiday, Halloween. Halloween is a holiday in which kids dress up in costumes and go around their neighborhoods "trick or treating." Neighbors fill the children's bags up with halloween candy! 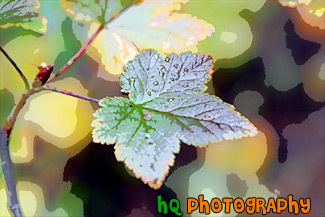 A scenic photo of a close up of a colorful leaf changing color during autumn or fall. This leaf was found in the state of Washington below a beautiful tree. 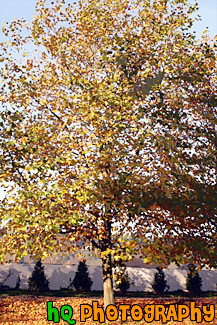 A close up vertical picture of a tree's leaves changing color during the fall season taken on a sunny day. 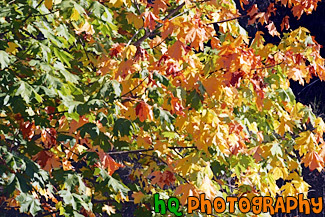 A scenic picture taken close up of colorful leaves changing color during the fall season on a tree. 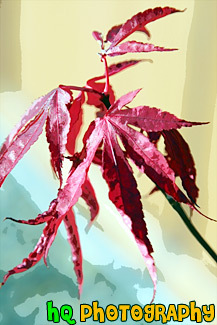 Green, yellow, orange, and red can all be seen throughout the leaves. A scenic picture taken of a curvy road with shadows from the sun lying across. 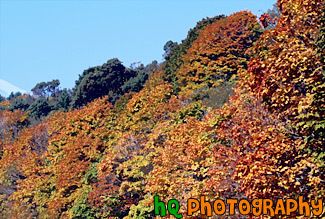 The trees along the side of the road are changing color for the fall season. 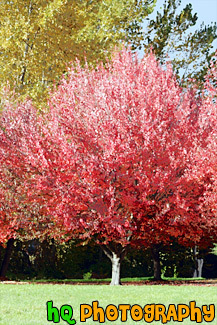 A scenic picture of yellow and red fall-colored trees during the autumn season. This picture was taken on a sunny day as you can see the blue sky in the background. 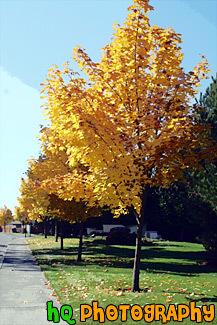 A photo taken during the fall season. You can see fall colors of orange, yellow, and brown with leaves falling to the ground. 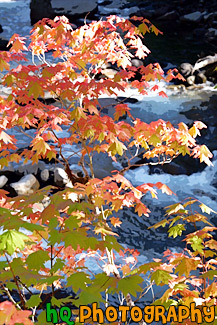 A scenic vertical picture taken of some leaves changing color with a river running behind them in the background. 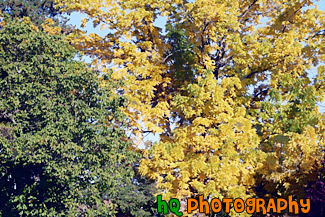 A scenic vertical picture taken of a tree changing color during the autumn season as you can see by the yellow leaves. A scenic picture taken of colorful trees changing color during the autumn season with a partly cloudy sky in the background. 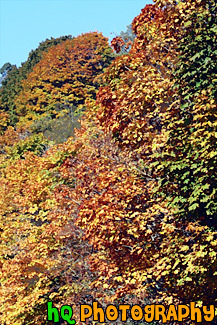 A scenic vertical picture taken of many tree's leaves changing color during the fall season. This picture was taken on a sunny autumn day as you can see the blue sky in the background. 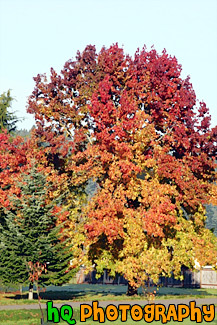 All kinds of colors are seen throughout the trees: green, yellow, brown, red, and orange. 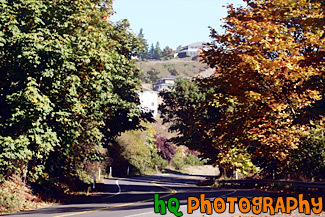 A scenic picture taken during the autumn season as you can see the changing colors of the leaves in this photo. This was taken in Tacoma, Washington with Commencement Bay seen in the background. 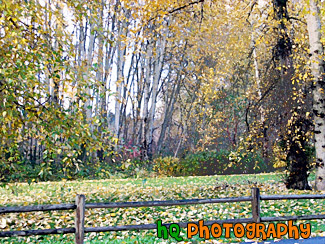 A scenic picture taken of changing color leaves that have fallen onto the grass on an autumn day. 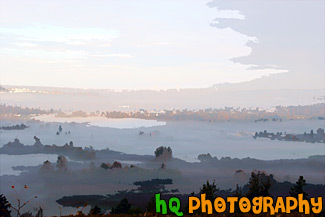 A scenic picture taken of some early morning fog on an autumn day located in Washington State in a valley near Bonney Lake. This picture is looking towards Tacoma, Washington (where you can see the smoke stacks in the distance). In the picture you can see the fog hovering over the colorful trees that are changing color for the fall season. 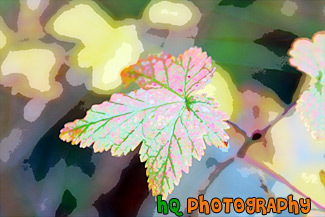 A scenic close up picture taken of a green and maroon colored leaf changing color on the branch during the fall season. Water drops from rain can be seen close up on the leaf. 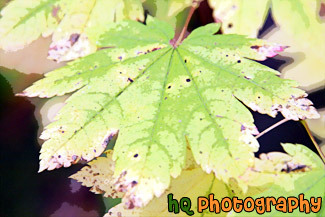 A scenic close up photo taken of a green leaf changing color during the fall season. You can see some yellow in this leaf. 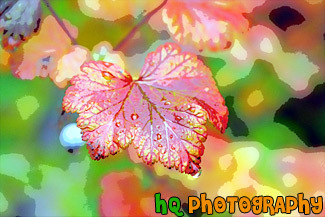 A scenic picture taken close up of a leaf changing color from green to red and orange. 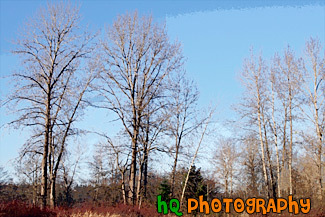 A scenic picture taken of Autumn trees as you can see by the lack of leaves on the trees. This picture was taken on a sunny day with blue sky in the background. 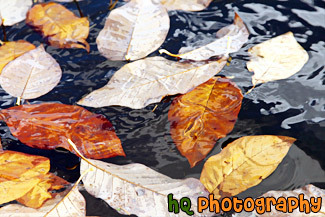 A scenic picture taken close up of some fall colored leaves floating in water. A bunch up of pumpkins. 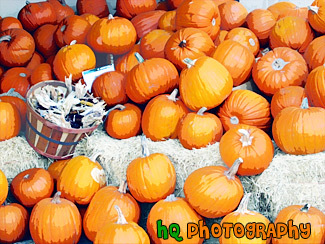 During this time of year grocery stores and other businesses place a lot of pumpkins out for sale to celebrate the upcoming holiday, Halloween. Halloween is a holiday in which kids dress up in costumes and go around their neighborhoods "trick or treating." Neighbors fill the children's bags up with halloween candy! 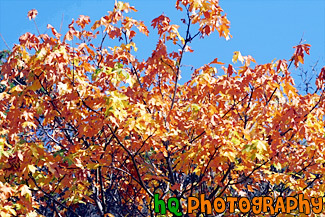 A scenic close up picture taken during fall season of orange leaves on a tree with blue sky seen in the background on a sunny autumn day. 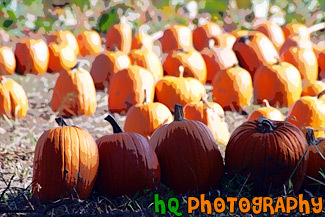 A scenic picture taken up close of a pumpkin patch with lots of orange pumpkins ready for Halloween. 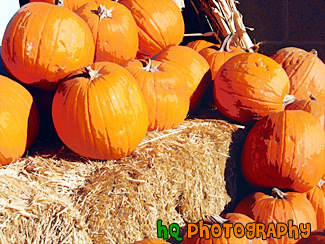 This photo was taken at a pumpkin field located in Washington state. 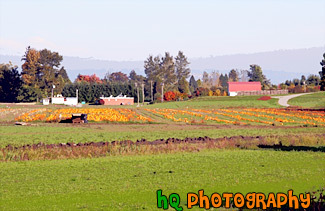 A scenic picture taken of a pumpkin farm located in a field surrounded by green grass on a sunny day. 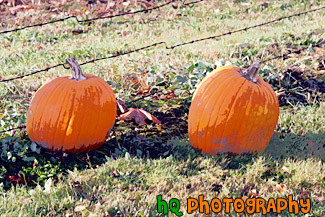 A scenic picture taken close up of two orange pumpkins sitting on the grass by a barbed-wire fence. 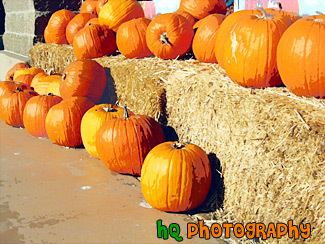 A photo of some pumpkins sitting on hay at a local pumpkin patch in San Jose, California during Halloween. 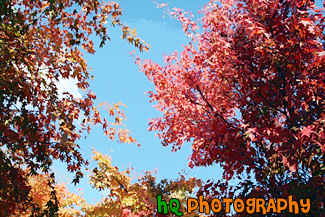 A scenic picture looking up at red and orange colored leaves changing color during the fall season. This picture was taken on a sunny day as blue sky is seen above. A close up picture taken of a red autumn leaf hanging from a tree during the fall season. The background of this photo is out of focus. 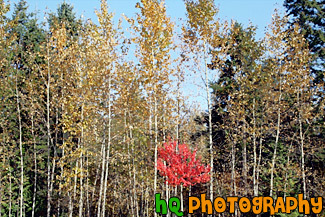 A scenic picture taken of a tree who's leaves have changed to red during the fall season. 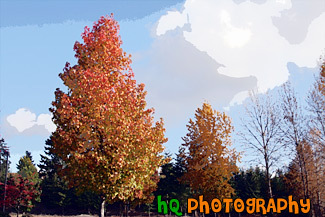 A scenic picture taken of some red colored fall leaves hanging from a tree in the Olympic National Park. 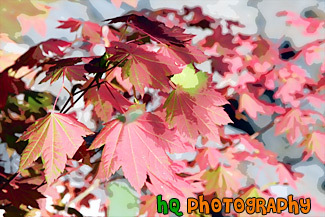 A scenic picture taken close up of red tree leaves changing color during the fall season. A scenic picture taken of a bunch of little orange, red, and green leaves during the fall season. A scenic picture taken of a row of maple trees changing color during the autumn season. This picture was taken on a sunny day in the fall as you can see the blue sky in the background. 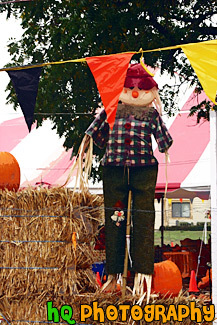 This is a photo of a scarecrow taken during the Halloween season. 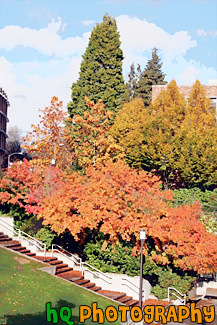 A scenic picture taken of the fall colors seen on trees located on campus at the University of Washington. In this picture you can see the colors red, orange, green, yellow, and blue (in the sky). Leaves are also seen on the ground below the trees. 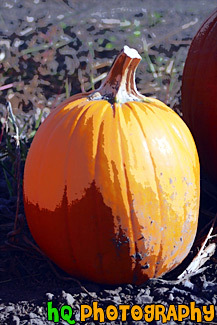 A close up scenic picture taken of a single, bright orange pumpkin taken during the Fall season. A scenic picture taken of a bunch of trees changing color together during a beautiful sunny fall day as you can see blue sky above the trees. 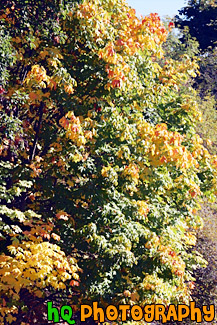 A close up scenic picture taken of tree's leaves changing color from green to yellow during the Fall season. Blue sky is seen in the background on this sunny day. 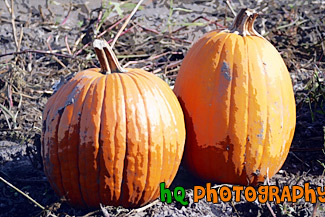 A scenic picture taken of two orange photos taken close up on a pumpkin farm in Washington State. 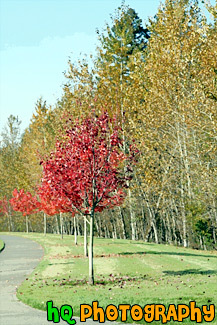 A scenic picture taken of trees that have changed color for the fall season. The leaves have changed to yellow on this sunny autumn day. 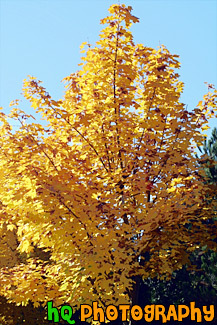 A scenic picture taken close up of a yellow tree changing color during the Fall season. This photo was taken on a sunny day as you can see the blue sky in the background.